The Cooperation Council for the Arab States of the Gulf (Arabic: مجلس التعاون لدول الخليج‎‎), originally (and still colloquially) known as the Gulf Cooperation Council (GCC, مجلس التعاون الخليجي), is a regional intergovernmental political and economic union consisting of all Arab states of the Persian Gulf, except for Iraq. 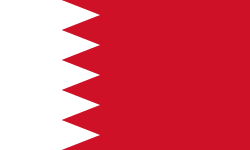 Its member states are Bahrain, Kuwait, Oman, Qatar, Saudi Arabia, and the United Arab Emirates. All current member states are monarchies, including three constitutional monarchies (Qatar, Kuwait, and Bahrain), two absolute monarchies (Saudi Arabia and Oman), and one federal monarchy (the United Arab Emirates, composed of seven member states, each with its own emir). There have been discussions regarding the future membership of Jordan, Morocco, and Yemen. Established in Abu Dhabi on 25 May 1981, the original union comprised the 1,032,093-square-mile (2,673,110 km2) Persian Gulf states of Bahrain, Kuwait, Oman, Qatar, Saudi Arabia and the United Arab Emirates. 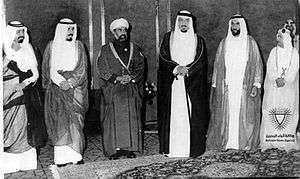 The unified economic agreement between the countries of the Gulf Cooperation Council was signed on 11 November 1981 in Abu Dhabi. These countries are often referred to as "the GCC states". However, Oman announced in December 2006 it would not be able to meet the target date. Following the announcement that the central bank for the monetary union would be located in Riyadh and not in the UAE, the UAE announced their withdrawal from the monetary union project in May 2009. The name Khaleeji has been proposed as a name for this currency. If realised, the GCC monetary union would be the second largest supranational monetary union in the world, measured by GDP of the common-currency area. This area has some of the fastest growing economies in the world, mostly due to a boom in oil and natural gas revenues coupled with a building and investment boom backed by decades of saved petroleum revenues. In an effort to build a tax base and economic foundation before the reserves run out, the UAE's investment arms, including Abu Dhabi Investment Authority, retain over $900 billion in assets. Other regional funds also have several hundreds of billions of dollars of assets under management. The region is also an emerging hotspot for events, including the 2006 Asian Games in Doha, Qatar. Doha also submitted an unsuccessful application for the 2016 Summer Olympic Games. Qatar was later chosen to host the 2022 FIFA World Cup, but it is possible that Qatar might lose the right to host the game because of its poor human rights records. The logo of the GCC consists of two concentric circles. On the upper part of the larger circle, the Bismillah phrase is written in Arabic,which means "By the name of god" and on the lower part the Council's full name, in Arabic. The inner circle contains an embossed hexagonal shape that represents the Council's six member countries. The inside of the hexagon is filled by a map encompassing the Arabian Peninsula, on which the areas of the member countries are borderless and colored in brown. On the edge of the hexagon are colors representing the flags of the six member countries. A common market was launched on 1 January 2008 with plans to realise a fully integrated single market. It eased the movement of goods and services. However, implementation lagged behind after the 2009 financial crisis. The creation of a customs union began in 2003 and was completed and fully operational on 1 January 2015. In January 2015, the common market was also further integrated, allowing full equality among GCC citizens to work in the government and private sectors, social insurance and retirement coverage, real estate ownership, capital movement, access to education, health and other social services in all member states. However, some barriers remained in the free movement of goods and services. The coordination of taxation systems, accounting standards and civil legislation is currently in progress. The interoperability of professional qualifications, insurance certificates and identity documents is also underway. In 2014, Bahrain, Kuwait, Qatar and Saudi Arabia took major steps to ensure the creation of a single currency. Kuwait's finance minister said the four members are pushing ahead with the monetary union but said some “technical points” need to be cleared. "A common market and common central bank would also position the GCC as one entity that would have great “influence on the international financial system" he added. The implementation of a single currency and the creation of a central bank is overseen by the Monetary Council. There is currently a degree to which a nominal GCC single currency already exists. Businesses trade using a basket of GCC currencies, just as before the euro was introduced, the European Currency Unit (ECU) was long used beforehand as a nominal medium of exchange. Plans to introduce a single currency had been drawn up as far back as 2009, however due to the financial crisis and political differences, the UAE and Oman withdrew their membership. Companies and investors from GCC countries are active in Mergers and Acquisitions. Since 1999, more than 5'200 transactions with a known value of US$ 573 billion have been announced. They are not only active in national deals or within GCC, but also as important investors in cross-border M&A abroad. The investor group includes in particular a number of Sovereign Wealth Funds. The Gulf Cooperation Council launched common economic projects to promote and facilitate integration. The member states have cooperated in order to connect their power grids. A water connection project was launched and plans to be partly in use by 2020. A project to create common air transport was also unveiled. The GCC also launched major rail projects in order to connect the peninsula. The railways are expected to fuel intra-regional trade while helping reduce fuel consumption. Over $200 billion will be invested to develop about 40,000 kilometres of rail network across the GCC, according to Oman’s Minister of Transport and Communications. The project, estimated to be worth $15.5 billion, is scheduled to be completed by 2018. “It will link the six member states as a regional transport corridor, further integrating with the national railway projects, deepening economic social and political integration, and it is developed from a sustainable perspective.” stated, Ramiz Al Assar, Resident World Bank advisor for the GCC. Saudi Arabian Railways, Etihad Rail, and national governments have poured billions into railway infrastructure to create rail networks for transporting freight, connecting cities and reducing transport times. The supreme council is the highest authority of the organization. It is composed of the heads of the member states. It is the highest decision-making entity of the GCC. The supreme council sets the vision and the goals of the Gulf Cooperation Council. Decisions on substantive issues require unanimous approval, while issues on procedural matters require a majority. Every member state has one vote. The Ministerial Council is composed of the Foreign Ministers of all the Member States. It convenes every 3 months. It primarily formulates policies and makes recommendations to promote cooperation and achieve coordination among the member states when implementing ongoing projects. Its decisions are submitted in the form of recommendations to the Supreme Council for its approval. The Ministerial Council is also responsible for preparations of meetings of the Supreme Council and its agenda. The voting procedure in the Ministerial Council is the same as in the Supreme Council. On 15 December 2009, Bahrain, Kuwait, Qatar and Saudi Arabia announced the creation of a Monetary Council to introduce a single currency for the union. The board of the council, which set a timetable and action plan for establishing a central bank and choose a currency regime, will met for the first time on 30 March 2010. Kuwaiti foreign minister Mohammad Sabah Al-Sabah said on 8 December 2009 that a single currency may take up to ten years to establish. The original target was in 2010. Oman and the UAE later announced their withdrawal of the proposed currency. In September 2014 GCC members Saudi Arabia, Bahrain, UAE, Qatar plus pending member Jordan, commenced air operations against ISIL in Syria cooperation. Saudi Arabia and the UAE however are among the nations that oppose the Muslim Brotherhood in Syria, whereas Qatar has historically supported it. They also pledged other support including operating training facilities for Syrian Rebels (Saudi Arabia) and allowing the use of their airbases by other countries fighting ISIL. The Gulf Organization for Industrial Consulting (GOIC) was founded in 1976 by the Gulf Cooperation Council (GCC) member states: The United Arab Emirates, Bahrain, Saudi Arabia, Oman, Qatar and Kuwait, and in 2009, Yemen joined the Organization is headquartered at Doha Qatar. The organization chart of GOIC includes the Board members and the General Secretariat. The Board is formed by member state representatives appointed by their governments. The GCC Games , a quadrennial multi-sport event, was established by the union and first held in 2011. There are numerous long-running GCC Championships for individual sports, including: the Gulf Cooperation Council Athletics Championships (first held in 1986; youth section from 2000) sailing, basketball, swimming, tennis, gymnastics (senior and youth levels), weightlifting, futsal, snooker, and table tennis. Qatar's support for the Muslim Brotherhood across the MENA area, Hamas and radical Islamists in Libya have led to increasing tensions with other Arab states of the Persian Gulf. These came to a head during a March 2014 meeting of the Gulf Cooperation Council, after which the UAE, Saudi Arabia and Bahrain announced the recall of their ambassadors to Qatar. Some financial economists have interpreted the 2014 Saudi–Qatari rift as the tangible political sign of a growing economic rivalry between oil and natural gas producers, which could "have deep and long-lasting consequences" beyond the MENA area. When the ambassadors withdrew, the GCC was probably already on the verge of a crisis linked to the emergence of distinct political blocs with conflicting interests. Saudi Arabia, the UAE and Bahrain were beginning to engage in a political struggle with Qatar, while Oman and Kuwait represent a non-aligned bloc within the GCC. The ambassadors crisis also seriously threatened the GCC’s activities, adversely affected its functioning and could arguably even have led to its dissolution. Some GCC countries have land borders with Iraq, Jordan and Yemen, and sea borders with Iran, Egypt, Sudan, Eritrea, Djibouti, Somalia, and Pakistan. Only Sinai peninsula lies in the Arabian peninsula, Bahrain has been vocal about its stance on Egypt joining the GCC, in 2011, Bahraini Foreign Minister has called for Egypt to be admitted as a member of the GCC. Iraq is the only Arab country bordering the Persian Gulf that is not a member of the Gulf Cooperation Council. In 2012, Iraqi Defence Minister Saadoun al-Dulaimi stated that Iraq wants to join the GCC. Kuwait supports Iraq joining the GCC. The lack of membership of Iraq is widely believed to be due to the low-income economy, its substantial Shia population, its republican political system, and its invasion of member state Kuwait during the Gulf War. In May 2011, Jordan's request to join the GCC, which had been first submitted 15 years earlier, was accepted and Morocco was invited to join the union. In September 2011 a five-year economic plan for both countries was put forward after a meeting between the foreign ministers of both countries and those of the GCC States, the first GCC meeting since May which included the Jordanian and Moroccan ministers. Although a plan for accession was being looked into, it was noted that there was no timetable for either's accession, and that discussions would continue. As Jordan and Morocco are the only two Arab monarchies not currently in the council, the current members see them as strong potential allies. 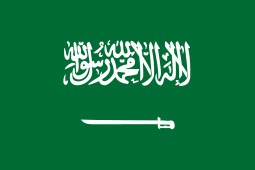 Jordan borders member Saudi Arabia and is economically connected to the Persian Gulf States. Although Morocco is not near the Persian Gulf, the Moroccan foreign minister Taieb Fassi Fihri notes that "geographical distance is no obstacle to a strong relationship". Yemen was in negotiations for GCC membership, and hoped to join by 2015. Although it has no coastline on the Persian Gulf, Yemen lies in the Arabian Peninsula and shares a common culture and history with other members of the GCC. The GCC has already approved Yemen's accession to the GCC Standardization Authority, Gulf Organization for Industrial Consulting (GOIC), GCC Auditing and Accounting Authority, Gulf Radio and TV Authority, GCC Council of Health Ministers, GCC Education and Training Bureau, GCC Council of Labour and Social Affairs Ministers, and Gulf Cup Football Tournament. The Council issued directives that all the necessary legal measures be taken so that Yemen would have the same rights and obligations of GCC member states in those institutions. ↑ Sara Hamdan (4 January 2012). "A Call for Private Investment in Gulf Health Care". New York Times. Retrieved 8 July 2013. The council, an economic and political union of Arab countries, is made up of Bahrain, Kuwait, Oman, Qatar, Saudi Arabia and the United Arab Emirates. ↑ "U.A.E. Quits Gulf Monetary Union". Wall Street Journal. 21 May 2009. Retrieved 8 July 2013. The move represents a rare public rift between members of the GCC, an economic and political union aimed at fostering better ties between the oil-rich Arab states straddling the Persian Gulf. ↑ "US State Dept's Country Political Profile - Qatar" (PDF). ↑ "US State Dept's Country Political Profile - Bahrain" (PDF). ↑ Asma Alsharif (10 May 2011). "1-Gulf bloc to consider Jordan, Morocco membership". Reuters. Retrieved 10 May 2011. 1 2 "Yemen to join GCC by 2015". Arabian Business. Retrieved 15 April 2015. 1 2 3 "GCC Members Consider Future of Union - Al-Monitor: the Pulse of the Middle East". Al-Monitor. Retrieved 15 April 2015. ↑ "Saudi Arabia Seeks Union of Monarchies in Region." The New York Times, 14 May 2012. ↑ "Gulf Union 'crucial for stability'". 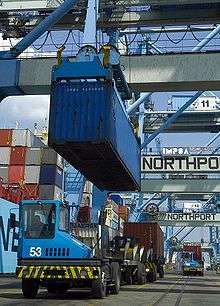 gulf-daily-news.com. Gulf Daily News. 12 August 2014. Retrieved 20 August 2014. ↑ "Gulf Cooperation Council". Deutsch Federal Foreign Office. Retrieved 31 August 2012. ↑ Bandar Salman Al Saud (1997). "The GCC security convention" (PDF). University of Glasgow. Retrieved 27 December 2013. ↑ Khan, Mohsin S. (April 2009). The GCC Monetary Union: Choice of Exchange Rate Regime (PDF). Washington DC: Peterson Institute for International Economics. Retrieved 11 May 2009. 1 2 Sturm, Michael; Siegfried, Nikolaus (June 2005). Regional Monetary Integration in the Member States of the Gulf Cooperation Council (PDF). Frankfurt am Main, Germany: European Central Bank. ISSN 1725-6534. Occasional Paper Series, No. 31. Retrieved 11 May 2009. ↑ Abed, George T.; Erbas, S. Nuri; Guerami, Behrouz (1 April 2003). The GCC Monetary Union: Some Considerations for the Exchange Rate Regime (PDF). Washington DC, USA: International Monetary Fund (IMF). ISSN 1934-7073. Working Paper No. 03/66. Retrieved 11 May 2009. ↑ "Gulf Currency". Retrieved 15 April 2015. ↑ Ibrahim Saif; Farah Choucair (14 May 2009). "Arab Countries Stumble in the Face of Growing Economic Crisis". Carnegie Endowment. Retrieved 19 April 2013. ↑ "GCC customs union fully operational". The Peninsula. 3 January 2015. Retrieved 11 January 2015. ↑ "GCC 'common market achieves most goals'". The Peninsula. 9 January 2015. Retrieved 11 January 2015. 1 2 "GCC Summit: A Show of Unity – Arab News Editorial". Saudi-US Information Service. 12 December 2014. Retrieved 11 January 2015. 1 2 "GCC tries to persuade UAE, Oman to join currency talks". Arab News. 29 June 2014. Retrieved 11 January 2015. ↑ "M&A in GCC". Institute for Mergers, Acquisitions and Alliances. Retrieved 16 November 2016. ↑ "Biggest Sovereign Wealth Funds in the Middle East". Forbes. Retrieved 16 November 2016. ↑ "The GCC and the Supreme Council Summits – Infographics". Saudi-US Relations Information Service. 11 December 2014. Retrieved 11 January 2015. 1 2 "GCC Rail Projects To See Investments Worth $200bn". Gulf Business. 11 January 2015. Retrieved 11 January 2015. ↑ "GCC Patent Office page of the GCC website". Retrieved 12 February 2008. ↑ "(ABC News Australia)". ABC News. Retrieved 21 November 2014. ↑ Gulf forces intervene in Bahrain after violent clashes Daily India. ↑ Ian Black (14 May 2012). "Gulf unity plan on hold amid Iranian warning". The Guardian. Retrieved 18 May 2012. ↑ "Kuwait naval units join Bahrain mission ... 'Plot foiled'". Arab Times. Retrieved 31 August 2012. ↑ "Bishara, Abdullah". Rulers. Retrieved 16 March 2013. ↑ "Profile". ECSSR. Retrieved 11 April 2013. ↑ Malcolm C. Peck (12 April 2010). The A to Z of the Gulf Arab States. Scarecrow Press. p. 111. ISBN 978-0-8108-7636-1. Retrieved 11 April 2013. ↑ Toumi, Habib (29 November 2009). "Oman endorses Al Mutawa". Gulf News. Retrieved 11 April 2013. ↑ GCC Youth and Sports Ministers meet in Doha. The Peninsula Qatar (2015-03-05). Retrieved on 2015-03-20. ↑ Sports sector becoming growth driver in the GCC. Saudi Gazette (2014-11-08). Retrieved on 2015-03-20. ↑ Sambridge, Andy (2011-04-07). Bahrain to host first GCC Games in October. Arabian Business. Retrieved on 2015-03-20. ↑ Gulf Cooperation Council Athletics Championships. GBR Athletics. Retrieved on 2015-03-20. ↑ 6th GCC Sailing Championships 2014, Qatar. Icarus Sailing Media. Retrieved on 2015-03-20. ↑ GCC 3x3 Basketball championship to conclude on Saturday. Qatar Olympic Committee. Retrieved on 2015-03-20. ↑ Swimmers sparkle in GCC Championships. Qatar Olympic Committee (2013-04-14). Retrieved on 2015-03-20. ↑ Preparations on for GCC championships . Gulf Daily News (2014-10-29). Retrieved on 2015-03-20. ↑ Arab Gymnastic officials applaud GCC Mens Gymnastics Championship. Kuwait News Agency (2012-02-24). Retrieved on 2015-03-20. ↑ Qatar top ’em all at GCC Championships. Doha Stadium Plus Qatar (2014-02-26). Retrieved on 2015-03-20. ↑ Oman’s Suhail al Kulaibi walks and lifts his way to glory. International Weightlifting Federation (2012-02-26). Retrieved on 2015-03-20. ↑ Kuwait wins GCC Futsal Championship Title. Qatar Olympic Committee (2015-03-18). Retrieved on 2015-03-20. ↑ UAE extend lease over GCC title. UAE Interact (2005-01-03). Retrieved on 2015-03-20. ↑ Kuwait Passes Tests with Honours as Bahrain Sets Tests for Global Gathering. International Table Tennis Federation. Retrieved on 2015-03-20. ↑ David Blair and Richard Spencer (20 September 2014). "How Qatar is funding the rise of Islamist extremists". Telegraph.co.uk. Retrieved 21 November 2014. ↑ "Hamas's BFFs". Foreign Policy. Retrieved 21 November 2014. ↑ Kirkpatrick, David D. (7 September 2014). "Qatar's Support of Islamists Alienates Allies Near and Far." New York Times. Retrieved 15 May 2015. ↑ "3 Gulf Countries Pull Ambassadors From Qatar Over Its Support of Islamists". New York Times. 5 March 2014. ↑ "gulfnews.com: "UAE, Saudi Arabia and Bahrain recall their ambassadors from Qatar" 5 Mar 2014". Retrieved 21 November 2014. ↑ "Saudi Arabia, UAE, Bahrain withdraw envoys from Qatar". CNN. 2014-03-05. Retrieved 2014-04-11. ↑ Firzli, M. Nicolas J. (6 April 2014). "A GCC House Divided: Country Risk Implications of the Saudi-Qatari Rift". Al-Hayat. London. Retrieved 9 April 2014. 1 2 Islam Hassan (31 March 2015). "GCC's 2014 Crisis: Causes, Issues and Solutions". Al Jazeera Research Center. Retrieved 4 June 2015. 1 2 3 Yahoo! "GCC discusses economic plan for Jordan, Morocco". 11 September 2011. Retrieved 18 September 2011. ↑ Mu Xuequan (1 Nov 2011). "Bahrain keen on Egypt's GCC membership". Gulf News. Retrieved 14 Nov 2016. ↑ "Kuwait stresses necessity for Iraq to join GCC". Retrieved 21 November 2014. ↑ Mu Xuequan (11 May 2011). "GCC welcomes Jordan's request to join the council". Xinhua. Retrieved 19 September 2011. ↑ Al-Rantawi, Oraib (17 July 2011). "GCC membership may be a burden on Jordan's security". Retrieved 26 June 2012. ↑ "Yemen joined GOIC in 2009". Retrieved 21 November 2014.